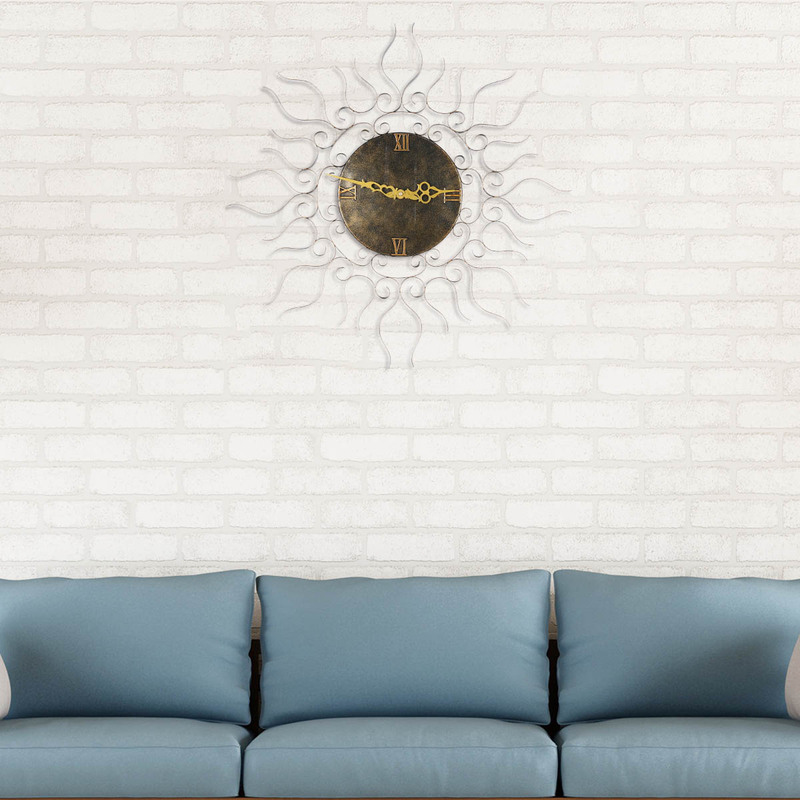 Wall clock is no longer a simple time calculating machine, but an art wall decor with unique original inspiration. 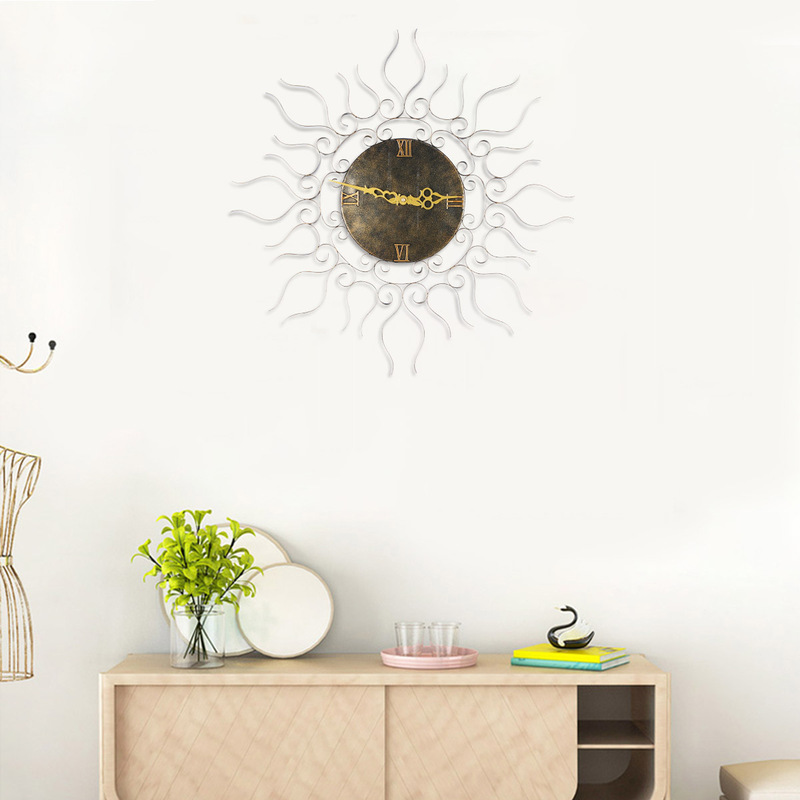 This sun-shape hanging clock combines modern fashion with retro art, which brings a visual enjoyment. The exquisite and unique hands goes accurately, which is very convenient to home decor. 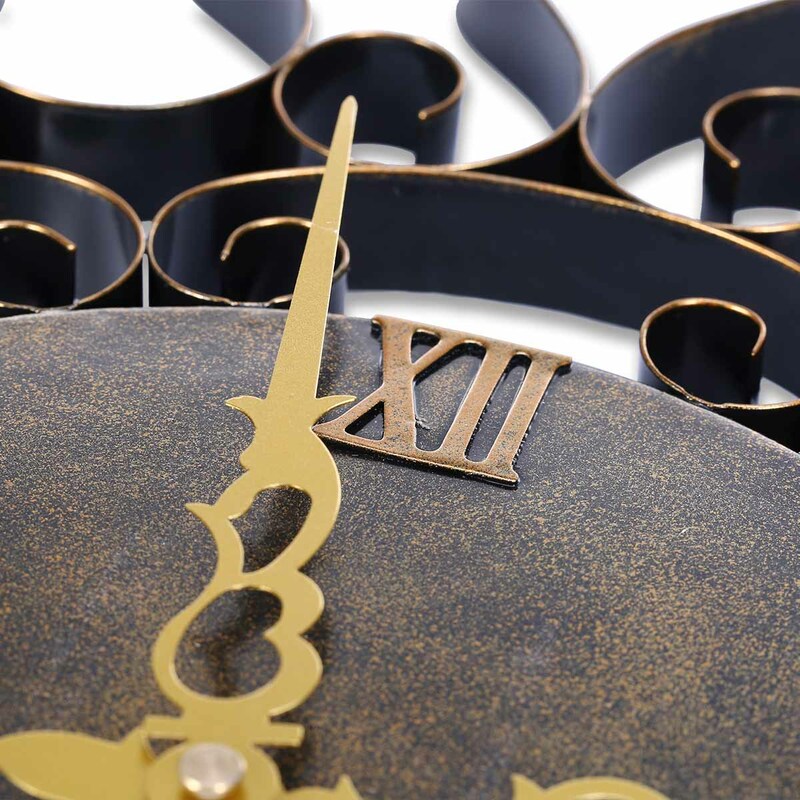 The Roman numbers and the retro surface treating help people to experience the ancient Roman culture. The retro surface treating adds a touch of artistic atmosphere. 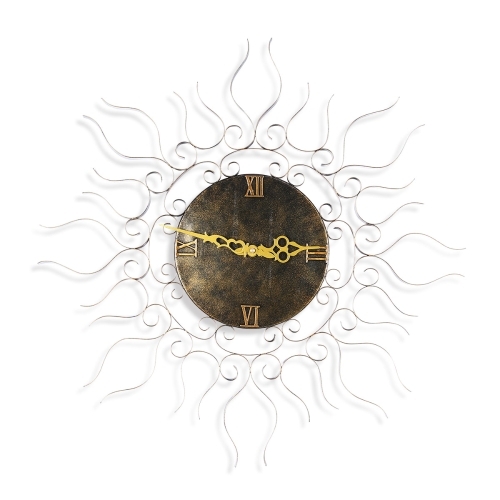 When hanging on the study room and office, the fashionable European retro feeling emerges. It is also a great choice for bars or restaurants wall, whose unique color and shape tell a beautiful story. Quiet and non-ticking: The wall clock with smooth gears is very quiet and has no annoying ticking. 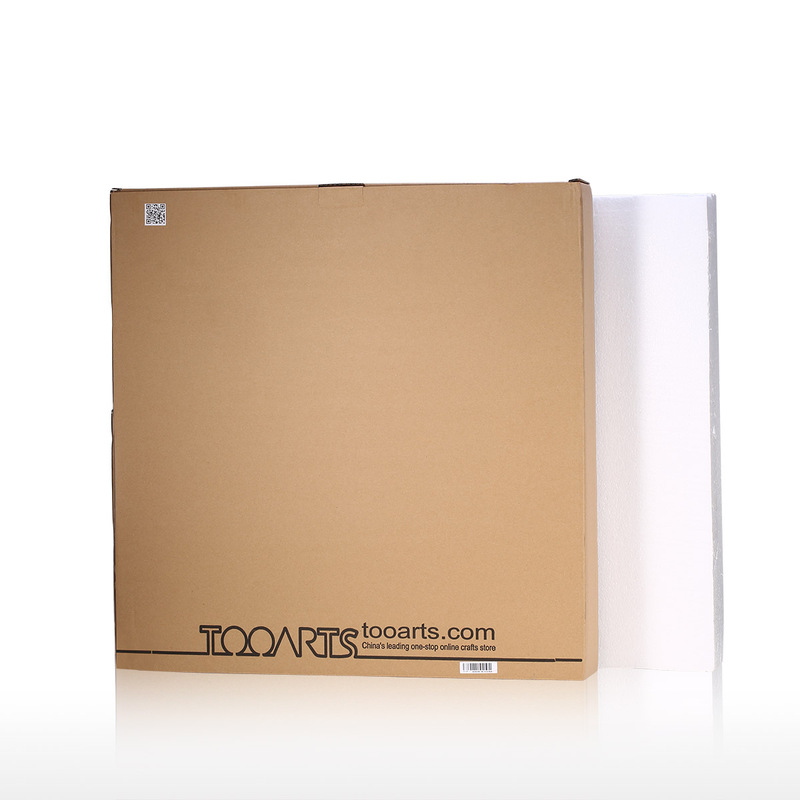 It features clear, large and easy to read Roman Numbers to make it a great time-telling option. 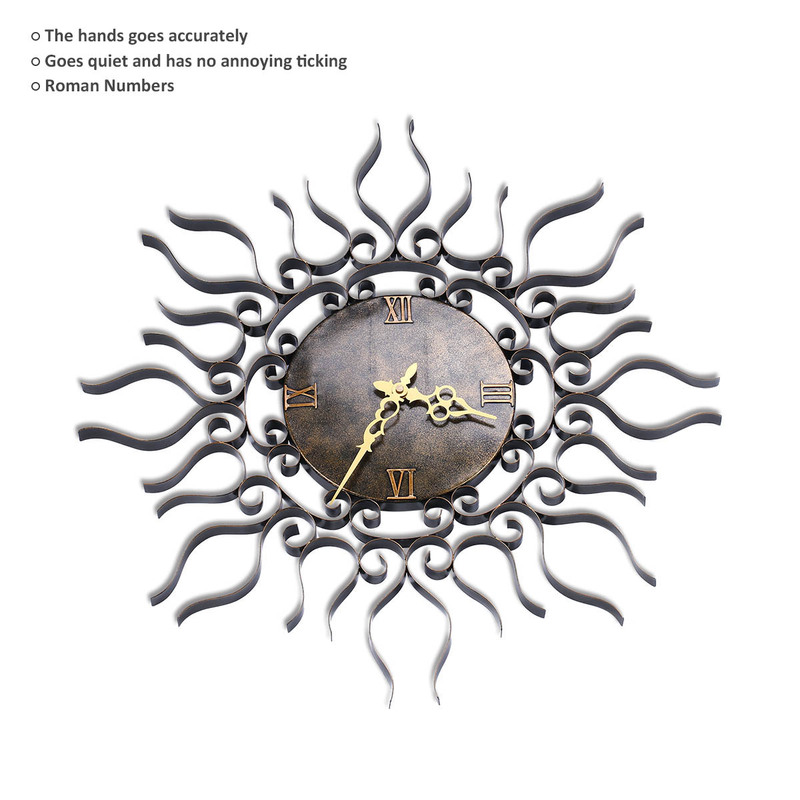 High quality movement: The exquisite and unique hands goes accurately, which is very convenient to home decor. 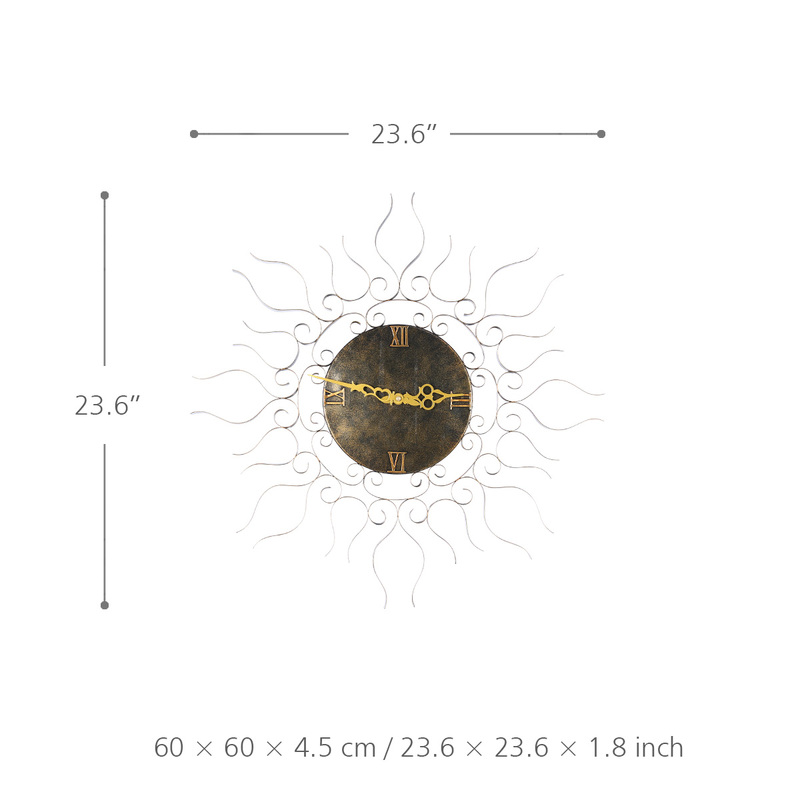 AA battery powered: This hanging clock requires one AA battery(not included) to ensure a long time power supply. 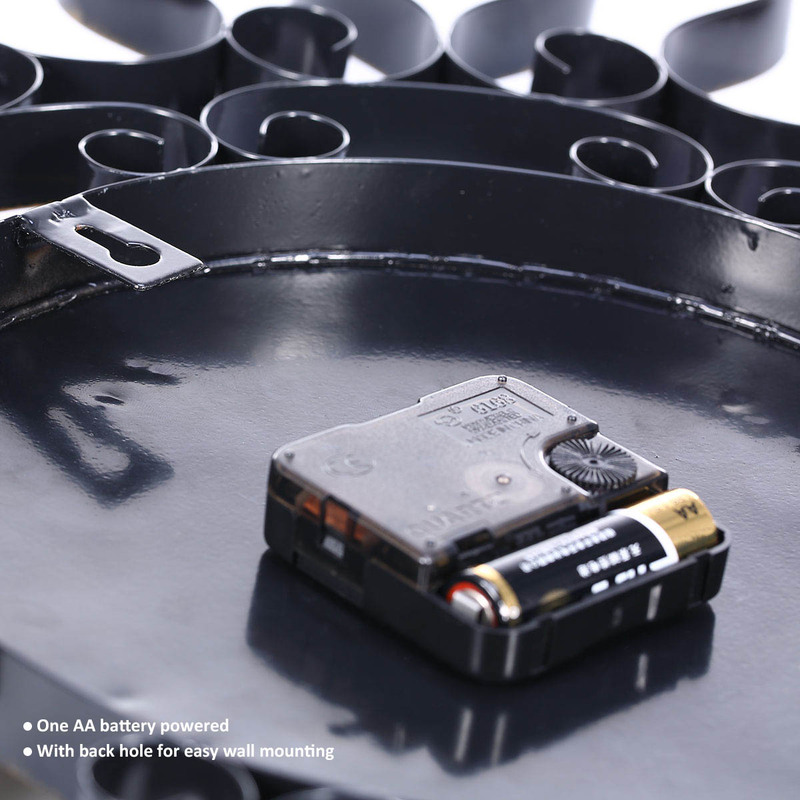 Put the battery in the back of the wall clock and and set the correct time using the small wheel. 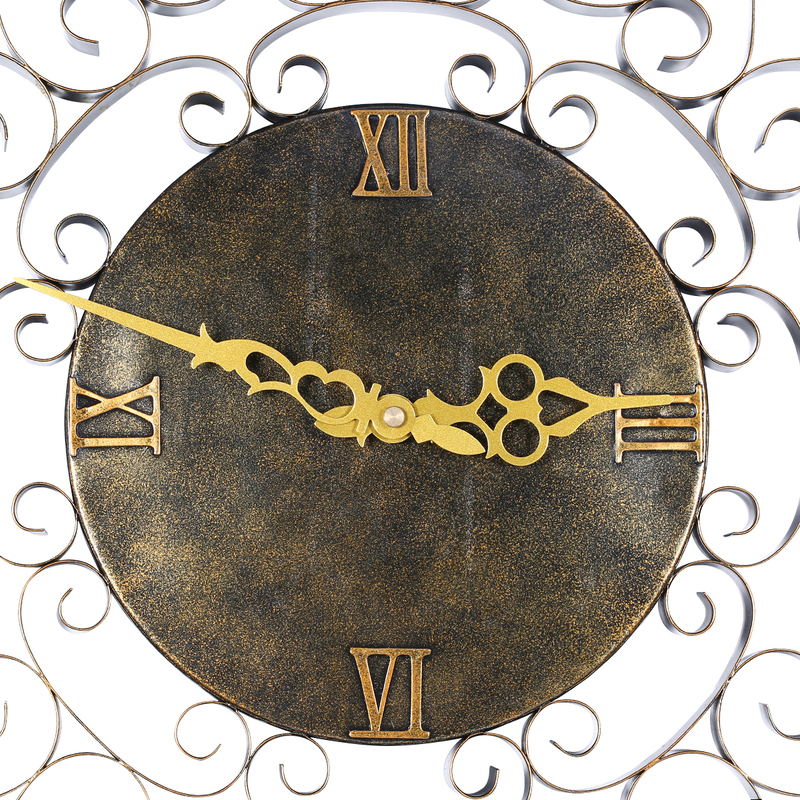 Perfect decoration: Vintage wall clock (23.6 * 23.6 * 1.8in) with Roman Numbers match the decor of any big or small room in your house or office. 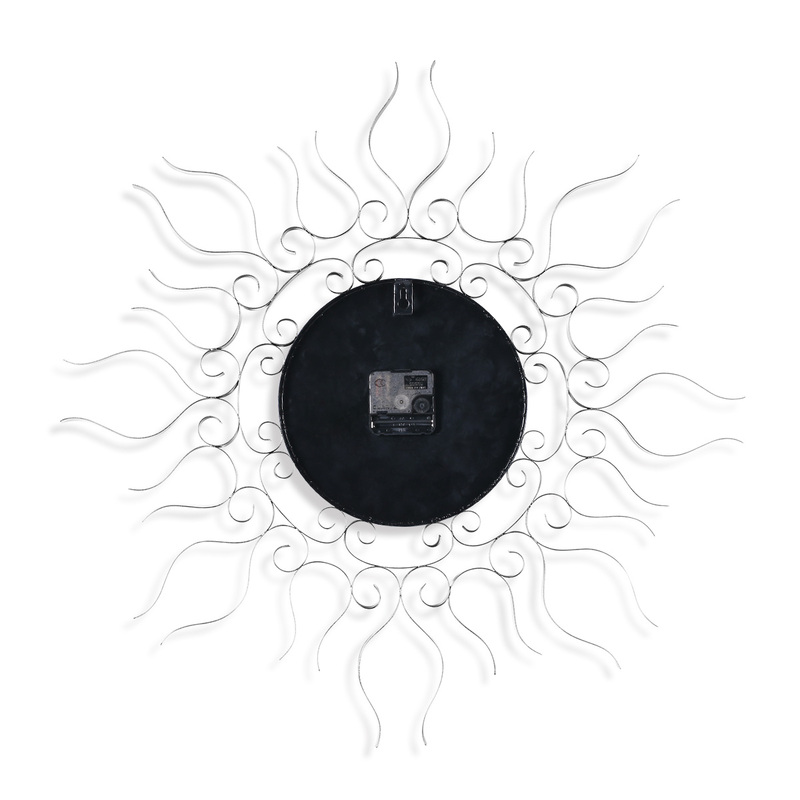 It is also suitable for classic restaurants or bars, which adds a touch of artistic atmosphere.